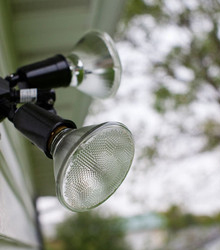 This is because it illuminates the exterior of your property. We offer a wide range of different styles of security lighting, including more decorative styles which are perfect for protecting your home whilst not making it look too harsh. Plus, we offer automated lights that are motion activated, which are very effective whilst saving you electricity. We offer a full installation service as standard with every lighting system we supply, so get in touch with our professional team. It is a legal requirement for any public working spaces with artificial lighting installed to also have emergency lighting installed. 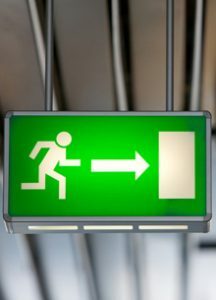 This is to ensure that there is a lighting source available in the event of any emergency so that people can clearly view the exits. Emergency lights are not only useful, but they can save lives – call us now to find out what we can do for you. To receive additional information regarding any of our emergency or security lighting products, contact us.